This October we were privileged to share the magic of the Urban Stable program in person with some of our long time funders and supporters. We had visitors from both the Graham C. Lount Family Foundation and from The Winnipeg Foundation come see the program in action. On Oct. 17 Tamara Lount, from the the Lount Family Foundation, came to visit us at Urban Stable. She toured the stable and watched one of our classes. It was a privilege to share with her the excitement of seeing the students work with their horses. Experiencing the joy and pride the students show in their accomplishments and seeing them work through struggles and come out victorious on the other side is powerful and encouraging. We are glad Tamara could share that experience. We also had the opportunity to reflect with Tamara on the long relationship Urban Stable has had with the Lount Family and we look forward to her visits in the years to come. We were also excited to host a funder visit from The Winnipeg Foundation on Oct. 25. 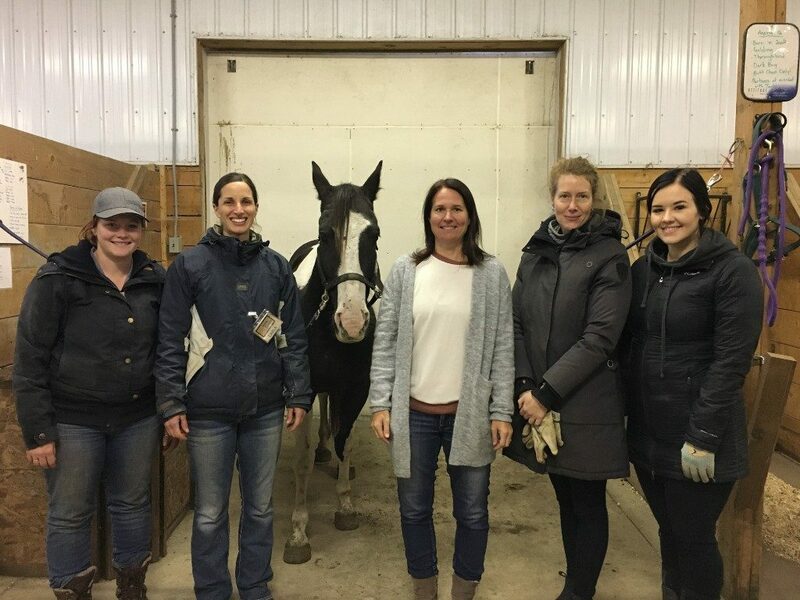 As part of this visit we had 25 people who donate to The Winnipeg Foundation come out and see the work their donations support at Urban Stable. The visit started with a delicious lunch provided by Camp Assiniboia where Urban Stable staff were able to chat with the generous supporters at The Winnipeg Foundation and share stories and answer questions about Urban Stable and our programs. When lunch was done our visitors got to meet the horses, tour the barn facility, and see the students and horses in action. It was a gift to be able to share the passion of the program, teach supporters and funders about the impact the horses have on our students, and to connect with some of the generous people who help make the Urban Stable program possible. We are so grateful for everyone who supports Urban Stable and are thrilled we were able to share Urban Stable’s impact with the Lount Family and The Winnipeg Foundation up close and in person this October. If you are interested in supporting Urban Stable visit our website.